about “training” the “Islamist parties” in the how-to of popular elections. As the months wore on, with Islamists stepping up their brutalization of Egypt’s 8 million Coptic Christians, taylor would take pains to stress that the Obama administration would be “sat- isfied” with a Muslim Brotherhood victory as long as elections were free and fair. In April 2011, shater delivered a lengthy lecture, “Features of Nahda: Gains of the Revolution and the Horizons for Develop- ing.” Like Badi, he delivered his words in Arabic to like-minded Islamists—he was not speaking in English for Western consump- tion, as the Brothers do when they wish to appear as irenic prag- matists. shater emphasized that the organization’s fundamental principles and goals never change, only the tactics by which they are pursued. “You all know that our main and overall mission as Muslim Brothers is to empower God’s religion on earth, to orga- nize our life and the lives of the people on the basis of Islam, to establish the Nahda of the ummah [the notional worldwide com- munity of 1.5 billion Muslims] and its civilization on the basis of Islam, and to subjugate people to God on earth.” He went on to reaffirm Banna’s time-honored plan for ground-up Islamist revo- lution, stressing the need for both personal piety and organiza- tional discipline in pursuing the goal of Islamic hegemony: a worldwide caliphate ruled according to sharia. Shater’s lecture dovetailed with a 93-page platform released by the Brotherhood’s Freedom and Justice party under the guidance of its leader, and now Egypt’s president, Mohamed Morsi, a long- time shater confidant. the platform proposed to put every aspect of human life under sharia-compliant state regulation. the doc- ument was brazenly anti-Western and anti-Israeli, describing “the Zionist entity” as “an aggressive, expansionist, racist, and settler entity.” It called for structuring civil society on the foundation of “Arab and Islamic unity”; made the “strengthen[ing] of Arab and Islamic identity” the “goal of education”; and urged that treaties (think: Camp David Accord) be subject to approval by the popu- lation. In March 2011, that same population had given Islamists a land- slide victory in a referendum on constitutional amendments, ensuring an election schedule that would put the Brotherhood in firm command of parliament. secular democrats, lacking the Brotherhood’s organization and clout, had argued that a new constitution should be written from scratch, a process that would postpone elections for the legislature and presidency indefinitely. they hoped this would give them time to amass support. In the referendum, during which the Brotherhood asserted that a vote in favor of delay was a vote “against Islam,” the secular democrats were wiped out by a margin of 78 to 22 percent. “Democracy is just the train we board to reach our destination.” So said longtime Brotherhood collaborator Recep Tayyip Erdogan, the Islamist prime minister of Turkey. By comparison with that country, Egypt’s “Islamic democracy” is on the fast track to Sharia Station. Erdogan needed nearly a decade to gain control of Turkish society’s institutions and elements. Incrementally, ingeniously, he leveraged the holy grail of EU integration and America’s post-9/11 desperation for a “moderate Islamist” ally to hollow out Ataturk’s Westernized state—to defang the military guardians of the Kemalist order. Egypt, on the other hand, never had one foot in Europe,and never had a rigorous 80-year secularization exper- iment. In this environment, the Brotherhood has accom- plished in weeks what took Erdogan years. When the outcome of Egypt’s parliamentary election was officially announced in January, Islamic suprema- cists had their landslide victory—tracking almost exactly their lopsided win in the referendum on constitutional amendments. Soon to be in firm control of the new gov- ernment, the Brotherhood exploited its growing strength to take aggressive new positions, making clear that its prior, ostensibly “moderate” stances had been insincere. The Brothers seized control of the “constituent assembly,” the body charged with writing a new constitution. Earlier, they had promised non-Islamists that this would be an inclusive “national consensus” process; now, it would become a sprint to sharia. They also went back on their commitment to refrain from proposing a presidential candidate. Shater, the “Iron Man,” was advanced as the Brotherhood’s nominee. His popularity would surely mute grumbling about the Brothers’ duplicity, and his likely victory would give them total control of the civilian government—a posi- tion of great strength from which to begin dismantling Mubarak’s armed forces, which, unlike Turkey’s, are as rife with Islamists as the society at large. Observing these developments, the Supreme Council of the Armed Forces (SCAF) became increasingly alarmed. It had been working with the Brothers, seeing them as inevitable but maybe controllable: “pragmatic” extremists with whom it might be pos- sible to cut a deal that preserved the military’s most important privileges, funding, and business interests. The generals knew from both long experience and recent history, however, that the Brothers were not trustworthy and that their long-term goal—and perhaps even their short-term goal—was complete control of the government, very much including the military. Now the Islamists’ success was making them more power-hungry. Egypt’s generals well knew the Turkish template. It was time to put up some road- blocks. The SCAF-appointed cat’s paw, the Supreme Presidential Election Commission, disqualified Shater from seeking office on the laughable grounds that he had laundered money for a “banned group” to which he illegally belonged. The claim was not false. But Shater had been given a pardon for the money laundering after Mubarak was ousted, and the “banned group” in question, the Muslim Brotherhood, was now not only unbanned, it had been elected to run the parliament. Despite Brotherhood huffing and puffing, the decision was final: Shater was out. Well aware of the old regime’s disdain for Shater, though, the Brothers had a Plan B. They had proposed an alternative “just in case” candidate: Mohamed Morsi. A 60-year- old engineer and academic, Morsi lacks the magnetism of his patron, Shater, but he is a force to be reckoned with. He is also a testament to the American infrastructure that the Brotherhood has steadily built for the last half century. The rise of Morsi as Shater’s protégé was due in no small part to Morsi’s firm belief in the Brotherhood’s traditions of discipline and obedience to hierarchical superiors. He was twice jailed, for brief intervals, during Mubarak’s reign. Dur- ing the Tahrir Square uprisings, he squared off with a rebellious group of young Brothers in a confrontation that shines light on the straws grasped by Western progressives, who insist the Brotherhood is evolving. Morsi adheres fiercely to classical sharia. His dispute with the renegades involved his support for hardline Brotherhood positions favoring the disqualification of women and non-Muslims from seeking the presidency and the vetting of proposed laws by religious scholars. For crossing Morsi, the dissenting Brothers were expelled. 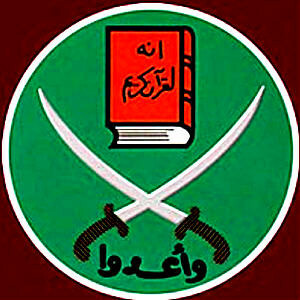 Notably, Morsi’s wife is a longtime and influential member of the Muslim Sisterhood, the movement’s distaff division. Inter- estingly, serving with her in the Sisterhood’s “Guidance Bureau” is Saleha Abedin—the mother of Huma Abedin, Secretary of State Hillary Clinton’s deputy chief of staff and close adviser. Small world, no? It would be Secretary Clinton who pronounced it “imperative” that the Egyptian military turn over power to the country’s newly elected Islamist leaders. During the Egyptian presidential campaign, before the SCAF excluded Shater from contention, Morsi was a constant presence at his side, introduced to crowds as an “architect” of Shater’s Nahda program—Egypt’s future Islamic Renaissance. Now, with Shater forced to the background, Morsi moved to center stage. The pundits gave Morsi little chance. The election, after all, was scheduled for late May, just a few weeks after Shater’s controversial disqualification. It was awfully traction. in fact, when a much-anticipated debate was televised in mid-May, Morsi was not even among the participants. The Koran was and will continue to be our constitution. the Koran will continue to be our constitution. the Koran is our con- stitution. CROWD: the Koran is our constitution. MORSI: the Prophet Mohammed is our leader. CROWD: the Prophet Mohammed is our leader. MORSi: Jihad is our path. CROWD: Jihad is our path. MORSI: And death for the sake of Allah is our most lofty aspiration. CROWD: And death for the sake of Allah is our most lofty aspira- tion. MORSI: Above all—Allah is our goal. The sharia, then the sharia, and finally the sharia. this nation will enjoy blessing and revival only through the islamic sharia. i take an oath before Allah and before you all that regardless of the actu- al text [of the constitution] . . . Allah willing, the text will truly reflect [the sharia], as will be agreed upon by the Egyptian people, by the islamic scholars, and by legal and constitutional experts. . . . Rejoice and rest assured that this people will not accept a text that does not reflect the true meaning of the islamic sharia as a text to be implemented and as a platform. the people will not agree to anything else. When the votes were tallied in the presidential election’s first phase, he received a plurality, 25 percent. this meant he would face the second-place finisher in a final showdown in June. And that runner-up? he was Ahmed Shafiq, Mubarak’s former prime minister. Shafiq was no secular democrat; in this region, secular democrats barely register. But the millions of Egyptians dread- ing a totalitarian sharia state realized that their only real alterna- tive was a vestige of the dictatorial regime that had, through tumultuous decades, kept the islamic supremacists at bay. With the contagion of “spring fever,” Egypt is now an “islam- ic democracy.” in such a scheme, you don’t get real democra- cy—a rich culture of liberty—but you do get islamists. in June, Morsi defeated Shafiq and became president of Egypt. By August, Morsi had shrewdly purged the SCAF’s Mubarak rem- nants, with the support of the Obama administration, and the military was humiliated by a jihadist attack that left 16 of its soldiers dead on the Sinai border with israel—a border most Egyptians would rather see their troops attacking than securing. As the Brotherhood’s train pulls into its destination, the Arab Spring augurs freedom’s cold, dark winter.